Clinic Synopsis: An interactive clinic for teachers, band directors and saxophone players covering aspects of saxophone performance which may be useful for the beginner, intermediate, advanced and professional player. Topics will include saxophone tone production, breathing, articulation, tuning, vibrato, technique, instrument/mouthpiece/reed recommendations, maintenance, and practice suggestions. Clinician Biographical Information Otis Murphy joined the faculty of the Indiana University Jacobs School of Music at the age of 28, becoming one of the youngest faculty members in its history, and where he is currently Professor of Music. He is in great demand as an international soloist and clinician on four continents: North America (United States and Canada), Europe (Austria, Belgium, England, France, Germany, Italy, the Netherlands, Norway, Portugal, Scotland, Spain, Switzerland and Wales), Asia (Japan, Singapore and Taiwan), and Australia. Dr. Murphy has performed in some of the world’s great concert halls including Isaac Stern Concert Hall (Japan), Merkin Concert Hall (New York City), and Palau de la Musica (Spain). He holds Doctor of Music and Master of Music degrees from the Indiana University Jacobs School of Music. Under a Fulbright Fellowship at the Conservatoire National Régional de Musique in Cergy-Pontoise, France, Dr. Murphy earned the Prix de Perfectionnement à l’unanimité. 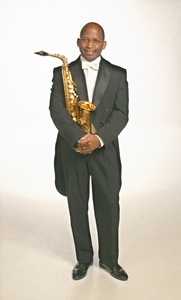 His saxophone teachers include Jean-Yves Fourmeau, Eugene Rousseau, and Kenneth Fischer.